Gwyn's High Alpine, which Aspen Skiing Co. will take over at the end of the 2020 ski season. Aspen Skiing Co. President and CEO Mike Kaplan on Monday night said the Snowmass government crafting a resolution challenging ownership of the mid-mountain Gwyn’s High Alpine Restaurant hinges on absurd. Snowmass Mayor Markey Butler commented on an Aspen Times Facebook post that the town would interfere with Skico’s “awful” decision to take over Gwyn’s after its lease ends in 2020, and thus prompted a resolution “of strong support for Gwyn’s as a locally owned and operated business” at Snowmass Ski Area. The discussion regarding Gwyn’s, which longtime Snowmass locals George Gordon and Gwyn Knowlton started in 1979, and its change in hands was at times tense and emotional. At many points, the most amicable person in the room was Gordon, who called Skico a “terrific” landlord and partner. While admitting that the news came as a disappointment to the family, Gordon stayed positive. While future plans for the restaurant are to be determined, Skico has said it wants Gordon and Knowlton’s daughter, Whitney Gordon, to be involved in its next chapter. Whitney Gordon, who also was at Monday’s meeting, grew up at Gwyn’s and manages the restaurant today. 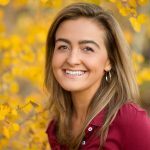 Whitney Gordon said she is in negotiations with Skico as to what her role might look like after Gwyn’s lease is up after the 2019-20 ski season. Conversations with Skico regarding the restaurant’s next chapter started toward the end of September. 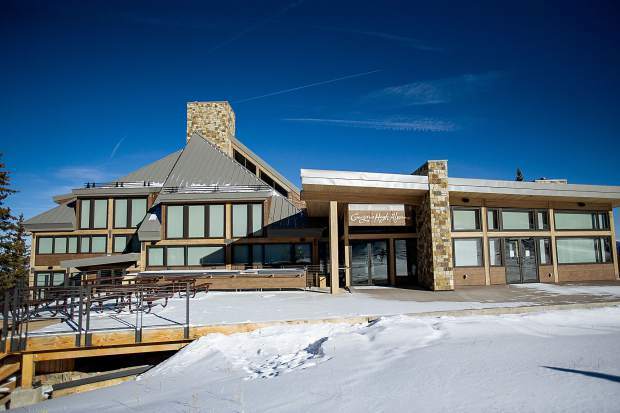 Skico owns the 20,000-square-foot building, which the family rented via four 10-year leases. Not all of the council members, however, supported the resolution as proposed. Butler and Shenk said they have received emails and calls in the past two weeks from people all over the world asking about Gwyn’s. “There’s something that they’re doing very right there that I don’t think necessarily translates to the other restaurants,” Shenk said. Town Councilman Bill Madsen also was not supportive of the current resolution. “I think that change is challenging for people,” Madsen said, encouraging people to be more optimistic. 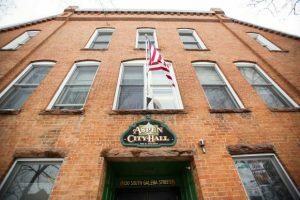 Three members of the public, all in favor of keeping Gwyn’s in the family, also spoke during Monday’s meeting, which was held in the lobby of Town Hall because the Council Chambers is being used today as an election polling center. “I just think it’s a totally bad, selfish decision, and I see no reason for it,” Aspen resident Ruth Harrison said. In addition to aligning with Skico’s long-term strategy of owning and operating all of its on-mountain restaurants, Kaplan maintained that managing Gywn’s makes the most sense from a logistics and operational standpoint. “For us to have an outlier in the middle of that system doesn’t make sense,” he said. With the exception of Gwyn’s and Bonnies at Aspen Mountain, Skico runs all of the restaurants across its four mountains. Contrary to rumors that part of Skico’s motive in assuming Gwyn’s is to operate its Snowmass Mountain Club restaurant inside the space, Kaplan debunked the notion. As previously reported by The Aspen Times, the Snowmass Mountain Club restaurant is expected to operate inside the building that currently houses Sam’s Smokehouse. While the Snowmass Mountain Club, based inside the Limelight at the plaza level, will be a private membership, the on-mountain restaurant will be open to the public. The only private element is that club members will receive priority for making reservations at the restaurant, Kaplan confirmed after the meeting. With two of the four elected officials present at Monday’s meeting (Town Councilman Bob Sirkus was absent) taking issue with the language of the resolution as proposed, the council did not vote and decided to revisit the document at a regular meeting Nov. 19, according to town clerk Rhonda Coxon. For Kaplan’s part, however, Skico’s decision regarding Gwyn’s was firm.